After pulling off one of the bigger upsets of the year the last time they crossed paths at the US Open in 2013, Tommy Robredo will once again have the opportunity to dispatch the 17-time Grand Slam champion Roger Federer – this time from his favourite event. The Federer vs Robredo Head-to-Head series stands at 10-1. 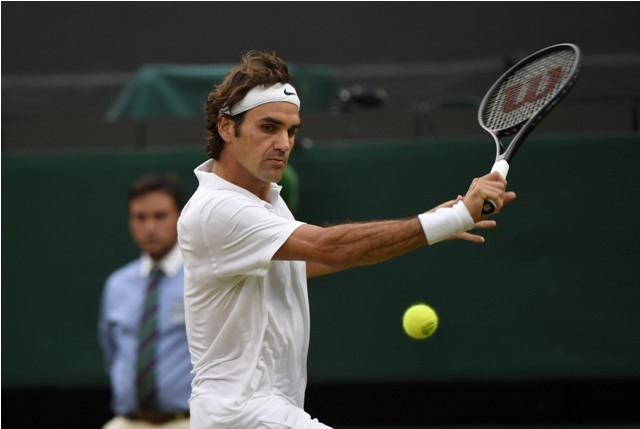 Fourth seed Roger Federer cruised into the fourth round of the Wimbledon Championships on Saturday, as he defeated Santiago Giraldo 6-3, 6-1, 6-3 to secure his spot in the final 16 of the tournament. His straight sets victory means he is yet to drop a set at the tournament this year. “It’s great,” Federer told BBC television. “I’m very pleased. It’s always good to keep moving on. Last year I lost in the second round (against Sergiy Stakhovsky), so I’m aware of tough draws. I’m always worried about the first week, getting to the second one; then the grass plays quite differently. Federer, who won a remarkable 84% of his first service points, is in a tough position where he will need to play quite a few matches in a short period of time. On the other side of the net is Tommy Robredo, who withstood a barrage of aces and winners from the big-serving Jerzy Janowicz to end last year’s semi-finalists run at the tournament. 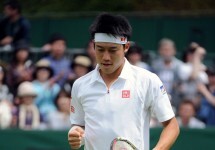 He is now through to the Round of 16 at Wimbledon for the first time in his career. The Spaniard defeated the Swiss No. 2 7-6(3), 6-3, 6-4 to secure the shocking win and reach the quarter-final stage of the tournament. He is now once again at that doorway to the final eight, but he will need another monumental effort to topple the in-form Federer on grass.